Well, it’s here. Whether you wanted it to happen or not, we are now officially in 2013, despite what the Mayan calendar predicted. With the start of a new year, many make what we have come to know as the dreaded New Year’s resolutions. You know how it goes: You’re at your annual company holiday party and the small talk usually consists of someone asking, “Any resolutions for the New Year?” And, immediately you find yourself either frozen or trying to come up with a resolution or two that sound thoughtful, important, and more importantly reachable without ending up disappointed for yet another year. Such disappointing resolutions usually consist of lofty goals that are difficult to reach mid-year let alone at the start of a new one. Typically they are in the vein of, “I am going to lose twenty pounds by February,” “I am going to wake up at 5:30 a.m. and go to the gym every day before work,” “I am going to go back to school,” “I am going to spend more time with my kids,” “I am going to quit smoking,” etc. Sound familiar? Most of us have fallen into the resolution-making trap with little results in goal completion. 1) Have a clear vision of the end result with a stated timeline. For example, if the goal is to lose twenty pounds, why not give yourself four months to do so instead of having an unrealistic expectation of weight loss? 3) Check in with yourself. After several weeks of working toward an action step or goal, ask yourself how it is going. Are you seeing any results and if not, what are the barriers to change? 4) Reassess your goals over time. If you are finding that you are having difficulty completing an action step and working toward your goal, perhaps the goal was unrealistic at the start or perhaps you were not as ready as you thought you were to take the steps to reach it. Lose the judgment and try a smaller, more manageable goal. 5) Stick with it! Don’t allow yourself to be discouraged by temporarily losing sight of the goal or having a “slip.” It is part of the process and if you acknowledge it you will then find it easier to get back on your program. Remember, it’sabout progress, not perfection. Good luck! 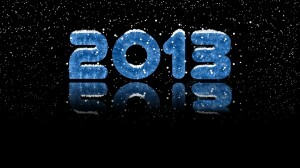 Here’s to a happy, healthy, and productive 2013.